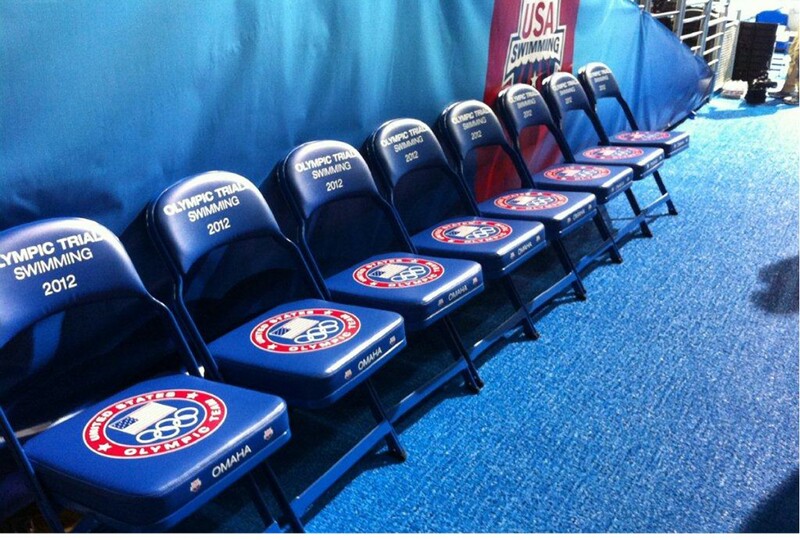 These are the Folding Chairs With Logos that were done for the U.S. Olympic Team’s tryouts last spring before the London Olympics. At Athletic Seating, we can print your team’s logo anywhere you’d like on the Folding Chair. Seat, back, front edge gusset location…..ite your chair, and we’ll customize them to your satisfaction. Send us your logo, along with the choice of frame and vinyl colors, and we’ll create a vitual proof for you free of charge. Give us a call or e-mail us, we’ll be happy to assist you!